The influence of trends is undeniable in contemporary culture, but rarely are its implications fully fleshed out. How can a trend mobilize or call others to action? As scholarship in contemporary art, design and new media becomes increasingly focused on networked lives, the digital platforms through which we communicate, interact, and share information demand academic and social inquiry. 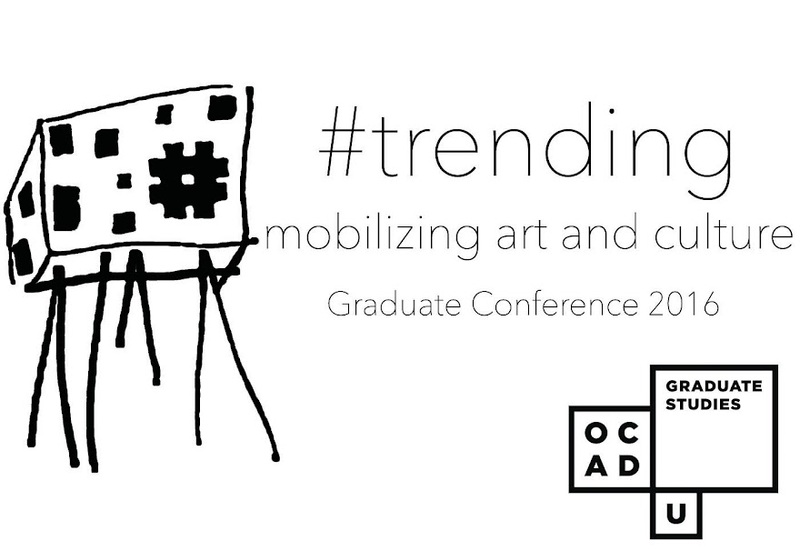 This interdisciplinary conference looks to the topic of #trending in its myriad meanings as it produces and affects subjects and citizenship, social and political change, visual and material culture. We must consider the longevity, impact, and relevancy of cultural work and research as the implications of cultural trends, their makers, and media are nuanced and complex. Are trends disposable or lasting? How should scholarship respond to trends -- by defining them or following them? What can trends tell us in their sequencing, forecasting, and analysis? transmedia: podcasts, web series, etc. the platforms of trend-making: Instagram, twitter, Tumblr, etc. We welcome submissions of academic papers, proposed workshops and panels, curatorial proposals, and artistic works, performances, and interventions from MA and PhD students and independent scholars. 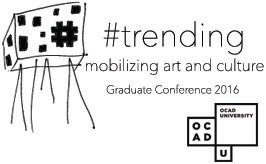 Please submit proposals by Friday, November 20, 2015 to cadnconference@ocadu.ca. Accepted candidates will be notified by email. What to submit: a 250 word abstract or proposal, a short biography, and, if needed, an url for up to five (5) images and/or five (5) minutes of video. Please submit texts as .doc or .pdf files.